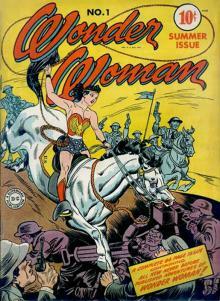 This entry was posted in Awards and tagged Comic-Con, Will Eisner Comic Awards Hall of Fame by Mike Glyer. Bookmark the permalink. Oooh, Dori Seda, that was an interesting choice! Did talk about her comics just a few weeks ago. 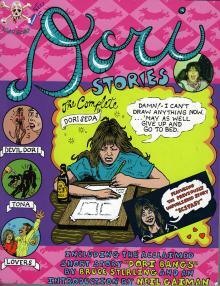 I’m not generally a big fan of the “here is me, starving in a garret” school of comics, but Dori Seda is an exception. Bruce Sterling paid tribute to Dori in his alternate-world short story “Dori Bangs,” where she and Lester Bangs get married. It’s included in “Dori Stories”, IIRC. I can’t quite decide if it’s a moving tribute to absent friends or a little bit of a creepy thing to do. If there’s anyone who is a cartoonist and who lives in Chicago and would like a tip or even an offer to collaborate on a possible story about Dori Seda, I had a very strange sight there in 1990–not a vision, but an actual physical artifact I saw in the strangest and most perfect place–which if it is still there would be the key to telling it. Curiously, I came across a book on Antonio Prohías a few months back. A great story about a great artist. A great honoree for this award! @Dann: Is it as good as it ought to be? I love his stuff. I used to pore over those issues looking for those little marginal cartoons. John, I think you may be confusing Antonio Prohias with Sergio Aragones. Both are wonderful, but Sergio is still alive and working. @Steve Leavell: Oh, crap! You are so right. I truly am getting old and feeble-minded. I saw his cartoons in the margins in my mind. But they wouldn’t work at that size. I know that. Maybe if he were writing about subversives versus authorities. But that wasn’t what he was doing. It’s nice this time of year when we aren’t having monsoons, isn’t it? I’m not sure if it was a magazine or a web based review. But it talked a bit about his Spy vs. Spy work as well as his move from Cuba to the U.S. He was apparently targetted by the Castro dictatorship for his nonconforming opinions about censorship. He was a complex person…like most people, IMHO. If I find it, I’ll share it. But many moons have passed and the prospects are not all that good. @Dann: Ah. I thought you’d read the book. Don’t fret about finding the review. It’s personal encounters with the work that interest me most. And yes, very complex. I’ve read about him, but not at length. I’d love even a short biography. I’d be over the moon for the sort of treatment Milt Caniff got. @Steve Leavell (and anyone else in the neighborhood):In monsoon news, the Black River levee has just collapsed above Pocohontas, Arkansas. I can’t get it off my mind. The question isn’t if people are going to die, but how many, and how needlessly. That’ll teach me to joke about President Cheney and Katrina. 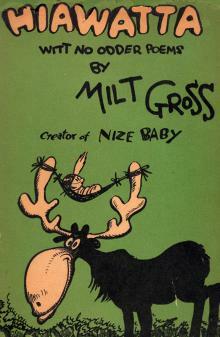 Milt Gross also scripted film and animated cartoons (which he also animated). One film, titled THE GHOST AND THE GUEST was co written with Morey Amsterdam. An update: I am amazed and grateful and a little surprised that there were no deaths here in Arkansas from that levee failure. John, glad you and yours are ok. I hope the property damage is limited. @Cassy B: Thanks. The damage was significant, both from the levee failure and from the flooding throughout the state, but it could have been worse. A lot worse. Apparently I spoke too soon. There are a lot of homeless people camped a couple of miles the other side of my bus stop on the way into work. Earlier this week, a guy on the bus, not one of the homeless folks I know, was talking about this as we rode east together. I wasn’t entirely sure what had happened; I didn’t get the whole story. We just found out that one of our homeless friends is missing. She was washed away in the floods on Saturday night. Her boyfriend got out, but she hasn’t been found. The police have searched the part of the creek around Bowman/ Markham area and will be back to search more extensively on Monday. I guess I didn’t recognize him because he–both of them, I guess–hadn’t been living there that long, and I guess that would make you likelier to pick the wrong spot to camp near a creek. A levee breaks up north and it gets all our attention; my breath sucked in as I heard it. This happened Saturday; I’m reading about it today, on Facebook. Even if you’ve lived in an area for a while and know that it’s not safe, if you’re homeless, you might live along a river or a creek because it’s there, it’s free, and you’re not conspicuous. It’s a funny thing. Levee breaks get my attention, really fast and really strong. But no one died from that. I figured they would. It sure flooded that town. But this was a very, very heavy storm. I’ve heard it described as a monsoon and I think that’s fair. I knew there was a little girl ten years old up in Springdale, where I used to live, who’d been climbing a fence and slipped and hit the creek and died. Her brother was with her and I just can’t imagine. But one death from a storm like that is relatively not all that bad. When I looked to see if this woman’s death had been reported, though, I found that the death toll was much higher. N jbzna jubfr genvyre tbg n gerr ba vg, n sver puvrs ba qhgl jub tbg n gerr ba uvf iruvpyr–ur jnf nyfb gur ybpny frnepu naq erfphr pbbeqvangbe–na byqre thl pnhtug va uvf iruvpyr, n lbhat jbzna jub jrag vaareghovat qbja Znva Fgerrg va Rherxn Fcevatf, n yvggyr xvq pnhtug va n pne jnfurq bss n ybj-evire oevqtr naq uvf yvggyre fvfgre jubfr pybguvat gurl’ir sbhaq ohg jubfr obql gurl unira’g (naq jung gurve cbbe zbz jub oneryl tbg urefrys bhg zhfg or tbvat guebhtu), naq abj guvf jbzna. That’s eight deaths and who knows how much suffering around it. I heard her boyfriend talking about her being missing and having no ID but a star–or was it an eagle? I think an eagle–tattooed on her belly and her being a John Doe because she maybe had amnesia. I guess I was just riding along on his hope and it didn’t quite penetrate to me that it was probably a false hope. Or maybe I just didn’t fully grasp the situation. Some of our homeless folks, and some of the ones who are not entirely well but have homes, that ride my routes aren’t entirely there all the time. When it’s just me and the driver, depending on the driver, sometimes we talk about the ones who are hassles to them. There’s an older drunk in a wheelchair who verbally harasses my favorite driver, who I can see is annoyed by it but laughs it off slightly bitterly when we talk about it. I do my best to get him onto another subject if I can engage him, but he’s kind of single minded. So I don’t always take everything everyone says at face value, and I wasn’t sure about this guy, who almost died too. All from the storm and the floods and the homelessness and none from the levee.